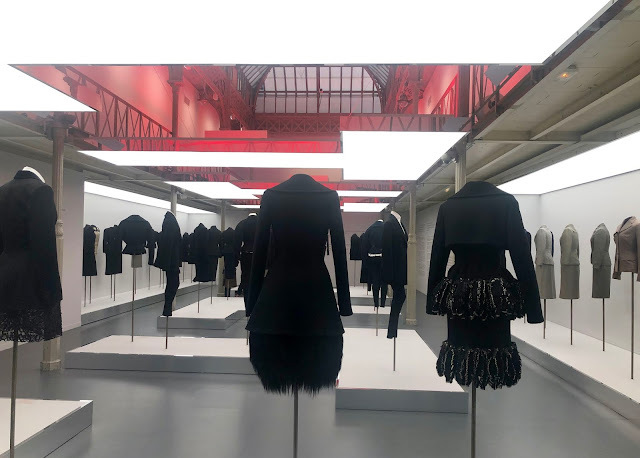 I am a huge fan of Azzedine Alaïa and it's no wonder I was amongst the first to see the latest exhibition presented by Association Azzedine Alaia, in the Marais and named: Adrian and Alaïa. 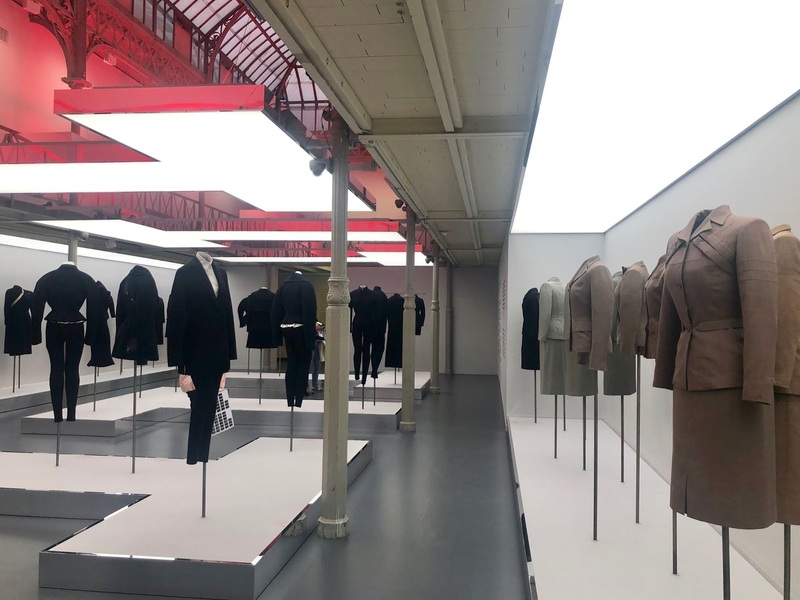 The art of tailoring. 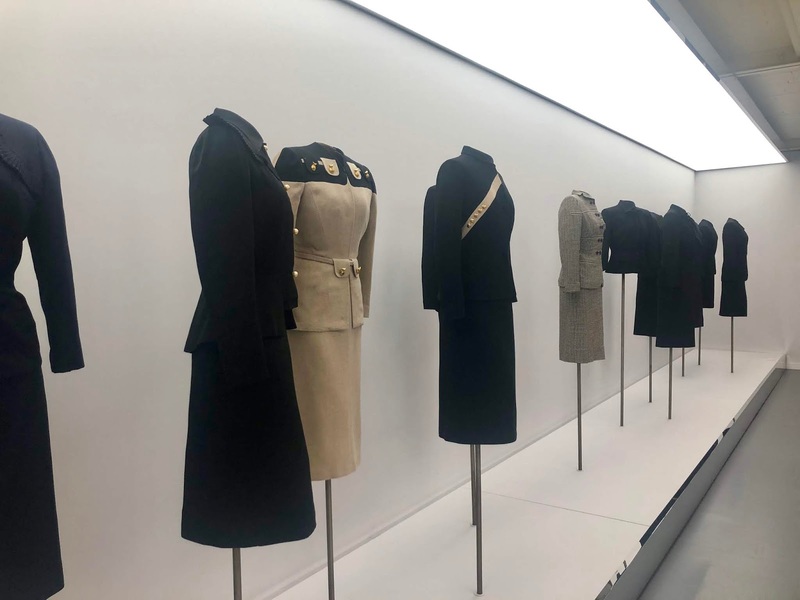 Organized under the direction of Olivier Saillard, the exhibition highlights the subtle transmission of elegance and style that can happen between two great couturiers even when separated by decades and continents. 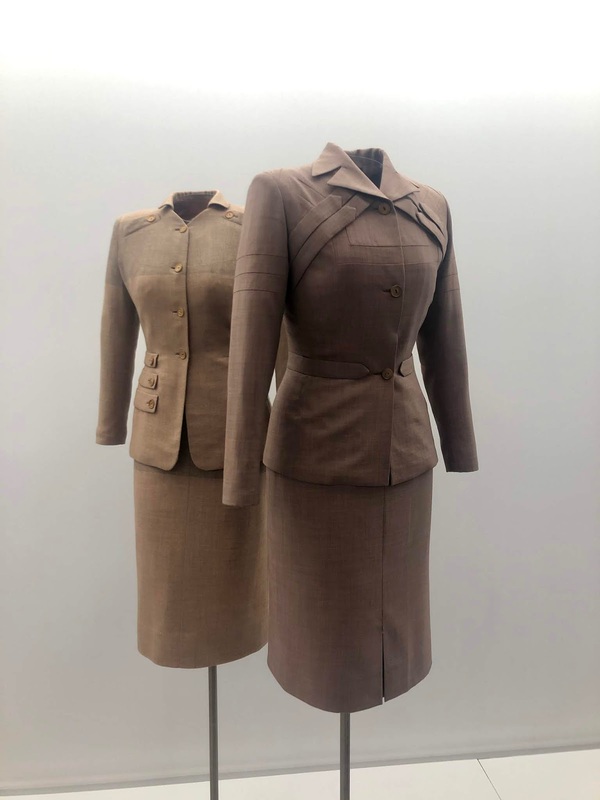 Gilbert Adrian, known as Adrian, was the head of costumes of the Metro Goldwyn Mayer (MGM) in Hollywood during the golden age of movies, in the 1930's. Adrian designed wardrobes for movies such as "Dinner at Eight", "Wizard of Oz" or "The women". 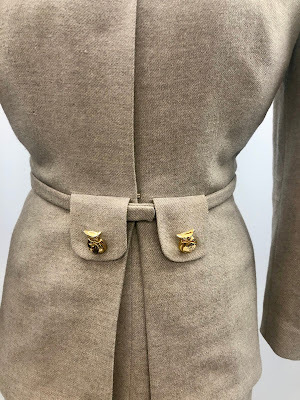 In the 1940's Adrian left Hollywood and established a couture design house in New York where he designed suits for Katherine Hepburn, Greta Garbo and Joan Crawford. 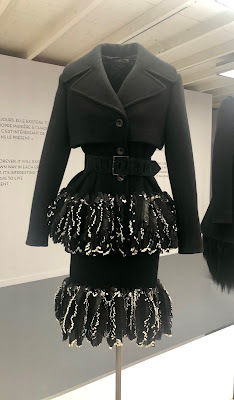 Azzedine Alaïa was a major collector of Adrian's work. What Alaïa liked very much about Adrian's suits were the broad shouldered and narrow waisted suits. 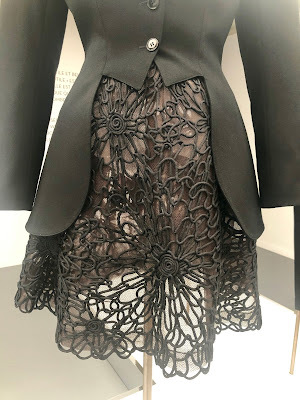 Alaïa also shared the obsession for perfection in the art of tailoring. 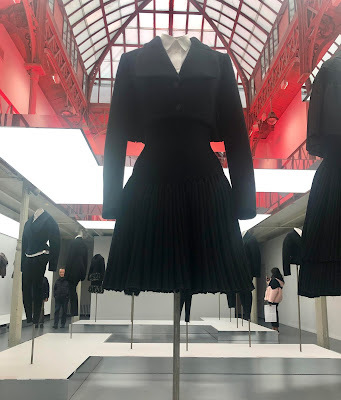 It is said that he spent nights around the same black jackets, never being satisfied, looking for perfection. This installation is a unique chance to see both Adrian's and Alaïa's tailoring creations. 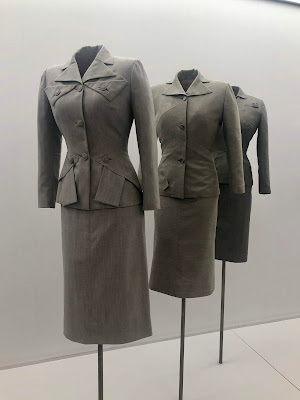 What struck me most was how feminine and modern these suits are!